Holbrook & Associates, Inc. is an Unlimited License General Contractor, specializing in commercial up-fit, commercial construction and showroom renovation. Because Holbrook & Associates, Inc., have their own crew of carpenters, we have complete control of the building from the ground up, and display exceptional skill with trim and finish carpentry. 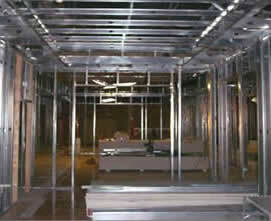 The staff also includes Job superintendents whose duties include estimating and on-site supervision. Due to this encompassing blend of skilled technicians and on-site supervision, Holbrook & Associates, Inc., also has the capacity to complete extensive renovation for furniture showroom projects. "...there was no way we would have been able to achieve what we did for our opening at the IHFC without the unbelievable assistance of Mr. Holbrook and his team. I can not thank him enough for doing everything we asked of him. We had a tremendous market and without him delivering us a showroom that was perfect, we never would have been able to open in time. He and his team were professional, timely and never gave excuses. The answer was always "yes" and "it will be done". 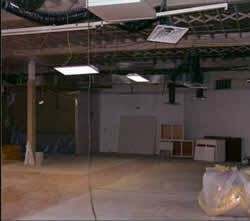 This was by far the hardest showroom we have had to open, and my least trouble with the contractor." 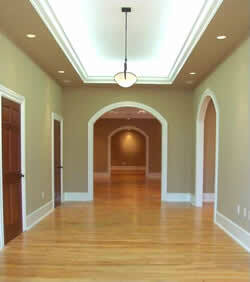 Holbrook & Associates, Inc. is also very experienced in residential construction in the High Point, NC area. Their work includes everything from starter homes to high end custom homes; single family homes as well as multifamily complexes. If you are interested in building a home, they can help make that process a smooth and satisfactory experience. At Holbrook & Associates, Inc. we consider our employees to be our most valuable asset. We strive to treat all of our current and potential customers in a caring and professional manner, giving them the quality and service that they desire and deserve at a fair price. We believe that our customer's satisfaction is paramount to our success. We can get your project flying without your costs soaring! We have joined the USGBC (US Green Building Council) and we have on staff a LEED (Leadership in Energy and Environmental Design) Accredited professional. There are many benefits to building Green. We are committed to helping protect our environment and whether you are interested in having a LEED approved building/home, or just want to save money on utilities by having us implement some energy efficient strategies we are here for you. Copyright © 2019 Holbrook & Associates, Inc. All rights reserved.